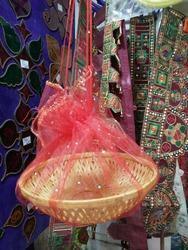 Decorative basket for gift or packaging in different size come, also use as a hanging decoration in wedding. This vertical wall basket gives a green look to the wall, reception centre which is easy to maintain. We are the Coir plant Basket manufacturers and exporters in india. We have a manufacturing unit of Coir plant basket in pollachi, Coimbatore, South tamilnadu. We are the major exporters of Coir plant Basket Netherlands, Turkey, South Korea, UK, USA, Malaysia, Australia, China markets. Hanging Basket (For Felopidine Test) With Dissolution Vessel Cover. We offer 8" Flower execution Basket. There are a selection of hanging baskets obtainable for use. They are lightweight and move toward in many colors and styles. Our assortments of Hanging Baskets are available at market leading price. 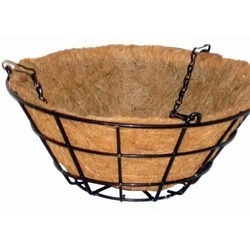 We have been counted amongst the most trusted names in this domain, engaged in providing Coconut Hanging Basket.